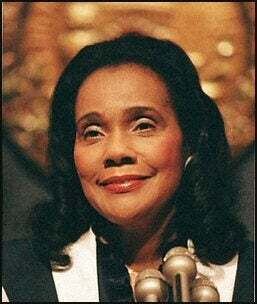 Today on International Women's Day, the National Women's Hall of Fame has announced its 2011 inductees, who include the late civil rights icon Coretta Scott King and legendary jazz singer Billie Holiday. Eleven American women who have made valuable and enduring contributions to our nation will be honored. These women will be formally inducted on Sept. 30 and Oct. 1, 2011, in Seneca Falls, the birthplace of the American women's rights movement. The National Women's Hall of Fame is the nation's oldest membership organization recognizing the achievements of great American women. Inductees are selected every two years based on their lasting contributions to society through the arts, athletics, business, education, government, humanities, philanthropy and science. From a group of more than 200 completed nominations, a national panel of judges conducted a rigorous scoring process and selected 11 women for Induction. "From an early suffragist to a civil rights pioneer; from a university president to trailblazers in health and science; each of these women have demonstrated fortitude, perseverance, intelligence and hope. Their experiences provide both an example for each of us to emulate and a challenge for each of to embrace. What began in Seneca Falls comes full circle this October, when this phenomenal group of inductees convenes in the birthplace of women's rights," said Christine Moulton, executive director of the Hall of Fame. Enough said. Read more about the National Women's Hall of Fame. In other news: VIDEO: BBC America to Air Season 2 of 'Luther,' Starring Idris Elba.